What Supplements Are We Taking? Home » UltimateFatBurner » What Supplements Are We Taking? Because — believe it or not — we do take supplements. And sometimes, as you’ll see, a lot of them. So just for fun, we’ve each put together a list of the supplements we’re taking, with a short explanation for each. This list doesn’t include products we may be trying for an article or as an experiment, as we may not necessarily carry on with those. The following individual lists only include the products we take on a regular basis. Carlson’s Fish Oil: I prefer liquid fish oil to caps, as a) any issues with freshness are easy to detect; and b) I take 5–10 ml/day – an amount that’s simpler to take off a spoon rather than in caps. Carlson is an excellent brand, with no “fishy” taste (or burps). The company also adds a bit of citrus oil to enhance palatability (I prefer the orange to the lemon).Click here to read the fish oil review! Heaven Mountain Goji Berries: IMHO, “superfruits” should be eaten, not taken in caps or consumed via expensive MLM juice drinks. I love these added to oatmeal or even munched straight from the bag. The Heaven Mountain brand are plump and moist, not hard/dry like other dried berry brands I’ve tried. Price (from iHerb.com) is reasonable too.Click here to read the Goji berry review! Protein Powder: I’m not super-particular about the brand, as there are many very good, competitively-priced products on the market. I recently reviewed this one, Trutein. It’s a good product, although I will probably buy a different brand once I’ve finished with this one (that way, I can kill two birds with one stone: review a new product and get my post-workout protein in). Scivation Xtend: BCAAs aren’t a “must-have,” IMHO, but they do come in handy pre-/during workouts. Scivation makes a good product: there are lots of flavors and it’s reasonably priced.Click here to read the full Xtend review, or alternatively, here for the : Branched Chain Amino acids review! Creatine Monohydrate: Creapure is an excellent quality (German) creatine, that’s sold under a range of different labels.Swanson’s the one shown here, although Creapure is sold under a range of different labels… but a “generic” one is as good as any, and cheaper than most.Click here to read the creatine monohydrate review! Elissa’s comments: I also take a basic multi (no iron), plus some extra D3 in the winter. I generally don’t make a fuss over the brand for either, though. Sumi’s comments: I’m a mom (my daughter Shaila is 3), a wife, a dedicated body builder, a fitness model and a full time personal trainer. I’m up at 5 AM every day. Because of my hectic schedule I need a supplement regimen that is affordable, easy, and helps me recover and perform strong for my intense workouts. 1. Fish Oil: This one should be a no-brainer. I encourage all my clients to get this one on their to-do list, because it’s hard to get this naturally in the American diet. UltimateFatBurner.com has a great write up on the benefits of fish oil here. The Barlean’s brand Omega Swirl fish oil I use is yummy too! (It’s available online at BodyBuilding.com). Portion control with this product is a must, as it’s incredibly easy to use too much and overconsume calories (remember, this product contains mostly fat, and fat has 9 calories per gram, compared to protein and carbohydrate which have only 4). 2. MRM Smart Blend: This was a gift for my birthday! It contains CLA (conjugated linoleic acid), which can be helpful for weight loss (at certain doses) and EPA/DHA (the two critical omega 3 fatty acids found in fish oil). Not sure I would buy this on my own, but am so grateful for the gift! It’s available at BodyBuilding.com. 3. Glucomannan: A simple fiber supplement, I tried this one as an experiment. I wanted to see if it suppressed appetite while cutting fat. Based on the available clinical data, UltimateFatBurner.com rated it favorably for that. Not sure if it’s really doing the trick for me, but unfortunately I have a massive appetite. I think it might work on a normal person though! (I wonder what it’s like to have a normal appetite). 4. Glucosamine: For my joints. If you have soreness in your joints from training, or even arthritis, check out the glucomsamine review; it’s a great supplement. 5. A basic multivitamin. I think of it as covering my bases! 6. A Vitamin B complex: UltimateFatBurner.com has a good write up on all the B vitamins. It’s hard to get them all from food sources (at least for me) on a daily. 7. Vitamin C: Vitamin C is known as a basic “immunity booster” and that’s exactly what I use it for – extra immunity. I have a pre-school aged kid and she is often exposed to all sorts of nasty bugs at day care. 8. Beta Alanine: A naturally occurring amino acid that shows some real promise as a performance supplement.I definitely got excited about this one after reading UltimateFatBurner.com’s beta alanine review. Who wouldn’t want to take training to the next level? 9. Caffeine / Tyrosine stack: I use this as my “do it yourself” pre-workout central nervous system stack to fight fatigue and give me a little extra energy and focus on my dragging days (and there any many!). L-tyrosine is precursor of several important neurotransmitters and may contribute to an elevated mood. Several grams stacked with caffeine can provide an effective pre-workout stack. 10. Creatine monohydrate: Another “no-brainer” supplement; it’s one of the few bodybuilding supplements backed by decent clinical data. I usually dissolve mine in some warm water and take it pre-workout. I’ve overheard lots of women at my gym talking about how it makes you huge and bloaty. I can’t say I’ve ever noticed that side effect. For more specific information on taking creatine and what to expect from it, see the complete creatine article here! 11. L-Glutamine: Another excellent amino acid supplement I try not to do without. Helps with my cravings and maintains muscle mass during a cutting phase. 12. Optimum Nutrition BCAA (Branched Chain Amino Acids): Why do I use BCAAs? They are helpful for preserving muscle mass during cutting phases (I’m on one now) and help with muscle recovery (DOMS) too. Protein: Optimum Nutrition / Eat-Smart: I prefer a blending my whey-based protein source (I’m using Isatori’s Eat-Smart right now) with a pure casein protein because it keeps me feeling full longer. Each protein source offers its own unique benefits, so this is something to consider. Glucosamine For Joints: Nutri-Flex is a liquid glucosamine supplement that also contains gelatin, MSM, bromelain, turmeric, devil’s claw, vitamin D3 and boswellia extract. It’s the best glucosamine supplement I’ve ever tried; I’ve got several buddies using it – even my Mom uses it for her arthritis! Creatine Monohydrate: I experimented with Nutrex’s Volugro about a year ago and have been using it ever since; it’s a combination of creatine monohydrate and waxy maize. Taken pre-workout I find it gives a pump comparable to properly dosed pre-workout supplements.Click here to read the VoluGro review! Isatori’s PWR And H+Blocker: BCAAs aren’t a “must-have,” IMHO, but they do come in handy pre-/during workouts. 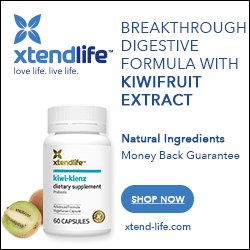 Scivation makes a good product: there are lots of flavors and it’s reasonably priced.Click here to read the full Xtend review, or alternatively, here for the Branched Chain Amino acids review! AminoCore (Branched Chain Amino Acids)/LEF Multivitamin/Mineral: The Life Extension Foundation product is quite high-potency and somewhat pricey (their products are available online, here!) although I don’t take a full dose (this is what food is for, lol), so a bottle lasts a long time. During the winter, I also pop some extra D3 (since I don’t take a full multi dose, I’m liable to come up short).